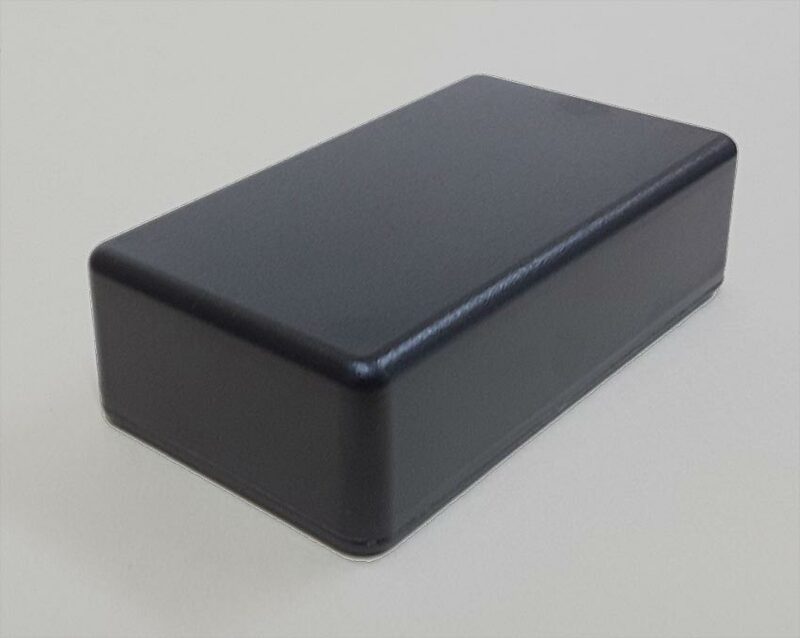 This project box features a flat bottom cover and molded top and has 4.7inches of internal space for your circuit boards and components. It is perfect for small to medium size electronic needs. If you need this box with mounting tabs click here. It can also be used as a small handheld enclosure. 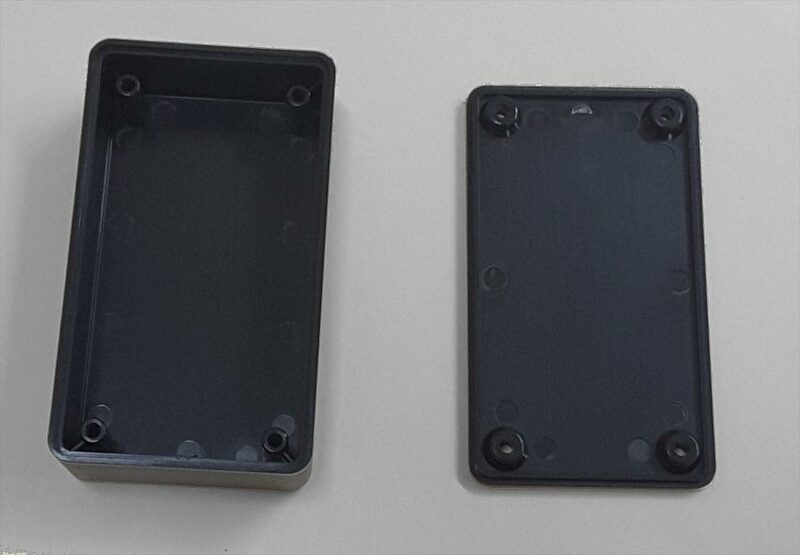 This IP 65 plastic enclosure is made from high quality ABS material and is RoHs Compliant.